Processing: All exposures captured in K3CCDTools 2. 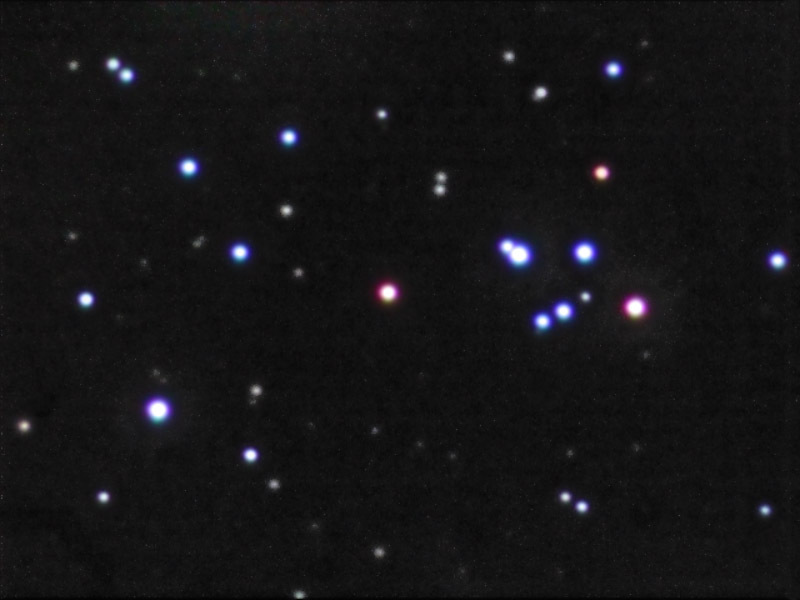 Alignment and stacking was done with Registax 3 and saved as FITs. LRGB channels were co-registered in IRIS. Luminance and Color channels were scaled and rough color balanced in IRIS. 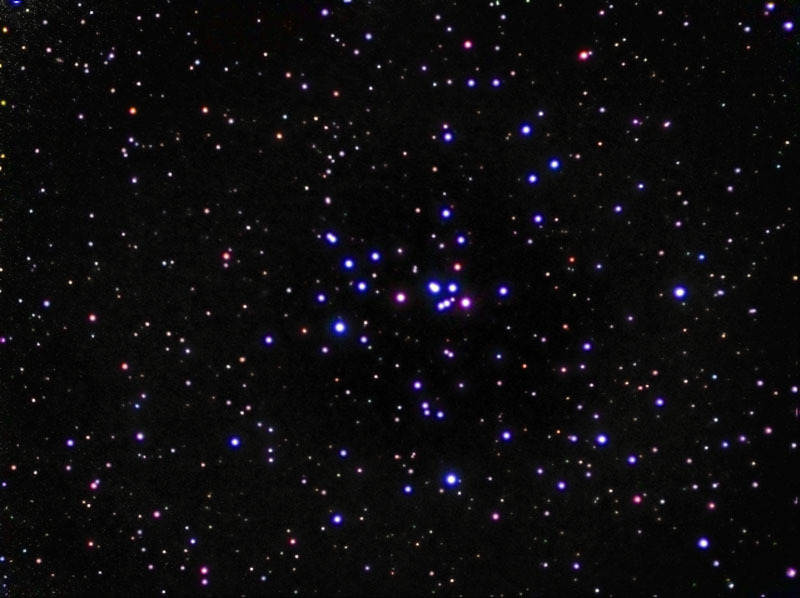 The shorter Luminance exposure was combined with the longer one to reduce star bloat in the Luminance construction. Final LRGB combine was done in Photoshop using Luminance Layering (or LLRGB). Color balancing and final touches were done in Photoshop. SGBNR (PixInsight LE) was used to smooth background noise on the final result. Resized to approximately 800x600. This image was a guided exposure. In this image NGC 2281 is a sparse open cluster located in the constellation of Auriga. Brightest members are concentrated in the center third of this image. The image below is a closer in view of this central area made with separate exposures. Horizontal FOV is about 30'. Processing: All exposures captured in K3CCDTools 2. Alignment and stacking was done with Registax 3 and saved as FITs. LRGB channels were co-registered in IRIS. Luminance and Color channels were scaled and rough color balanced in IRIS. Final LRGB combine was done in Photoshop using Luminance Layering (or LLRGB). Color balancing and final touches were done in Photoshop. SGBNR (PixInsight LE) was used to smooth background noise on the final result. Resized to approximately 800x600. This image was a guided exposure. Horizontal FOV is about 8'.